With more than 50 professional antiques dealers, The Summit Antiques Center is your premier source for all things antique and vintage. Scroll down to get to know us, and come visit soon! Helen Shue began antiquing with her mom (also an antiques dealer) at a very young age. Helen's love of antiques has continued throughout her life, culiminating in her own business. Acorn Hill specializes in Country, glassware and the unusual. Len Campobello began selling antiques in Manhattan in 1991, and for 22 years set up on weekends at The Garage Antique Center. Len specializes in mid-century modern, antiques and the unusual, and is particularly mad for Christmas and other holiday items. Another Time Antiques also offers timeless clothing from 1800s Victorian to 1980s vintage. Len's booths are located on the balcony and 2nd floor of the Summit Antiques Center. He also conducts house and tag sales and would be happy to help you out if you or downsizing or liquidating an estate. Contact Len at Nnjtop4u@aol.com. 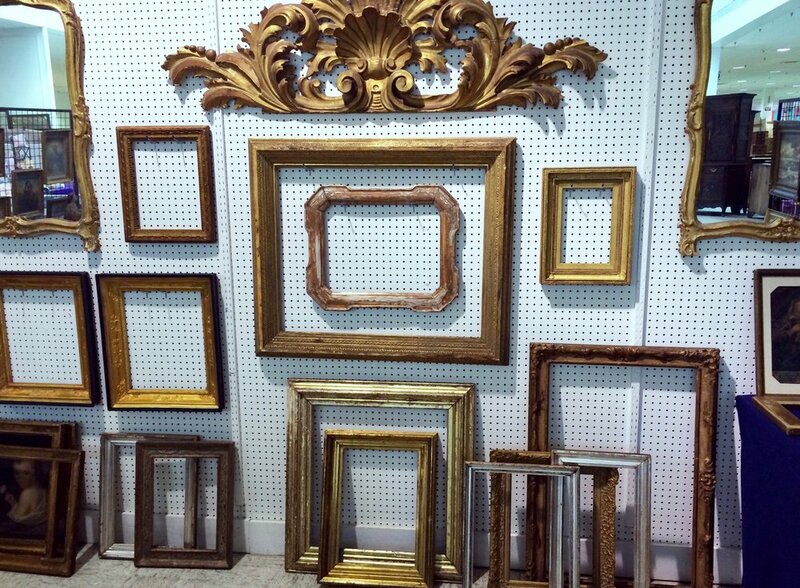 Gregory Bisson and his company have been expertly restoring family heirlooms in Scotch Plains, NJ since 1972. Greg has been actively involved in antiques for most of his life, and enjoys bringing pieces to The Summit Antiques Center. He'd be happy to restore a piece for you. For futher information go to ccfurniturerestoration. Discovery Estate Sales specializes in antiques and jewelry, and offers appraisals and consignments. John Conforti has more than 35 years experience buying and selling antiques. 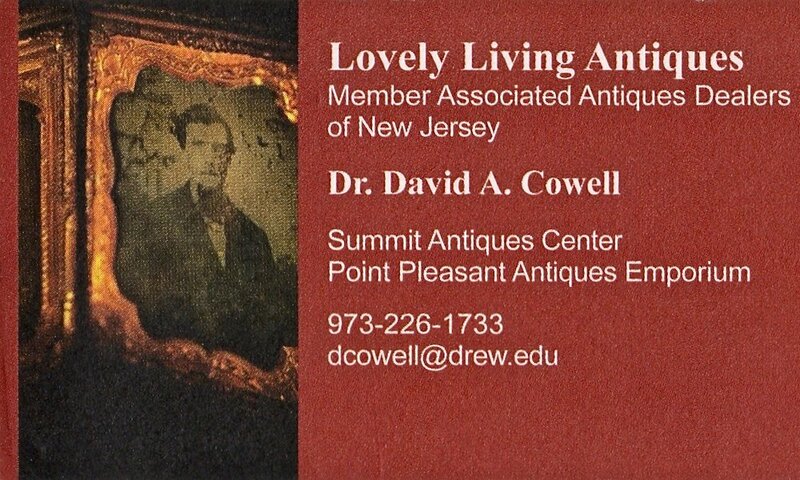 Find Discovery at The Summit Antiques Center and in Far Hills, NJ. Visit discoveryantiques. A Summit native, Sam grew up antiquing and collecting, and at long last joined the family antiques business in 2014. House of Sam specializes in antique toys, vintage comic books, prints and collectibles, and can be found on both the 1st and 2nd floors of The Summit Antiques Center. See more from the House of Sam on Etsy at HouseOfSam, and visit houseofsamantiques. Linda Cowan has 30 years of experience in the antiques business, specializing in vintage costume and mixed jewelry, silver and other small items of interest. Linda also runs select estate sales. Nancy and Ken Miller have collected antiques for over 40 years and became dealers in 1999. 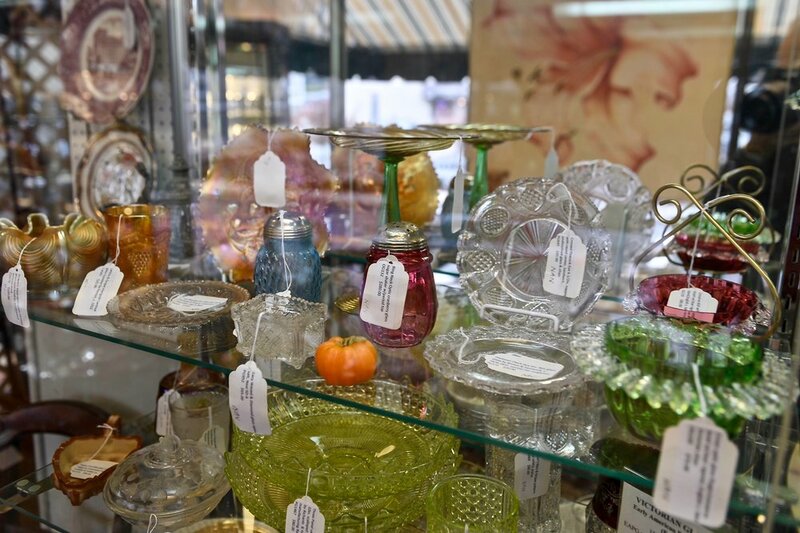 The Millers specialize in glassware throughout the ages, and also offer a fine selection of general antiques. Lynne Taylor, owner of Nola Rose, grew up near the French Quarter in New Orleans, Louisianna. Nola Rosa (named after Lynne's hometown, NOLA, and her grandmother, Rose, pictured above) specializes in vintage jewelry, furniture, art and collectibles. Visit her online at nolarosejewelry and follow her on Instagram at #Nola_Rose_Antiques. Tom Dwyer and Arnold Buchiane are both long time collectors and now enjoy sharing their finds and collections with others. Sculpture and unusual items are of special interest. Bob Taylor of T's Treasures has been a collector for years, and in the antiques business since 1992. 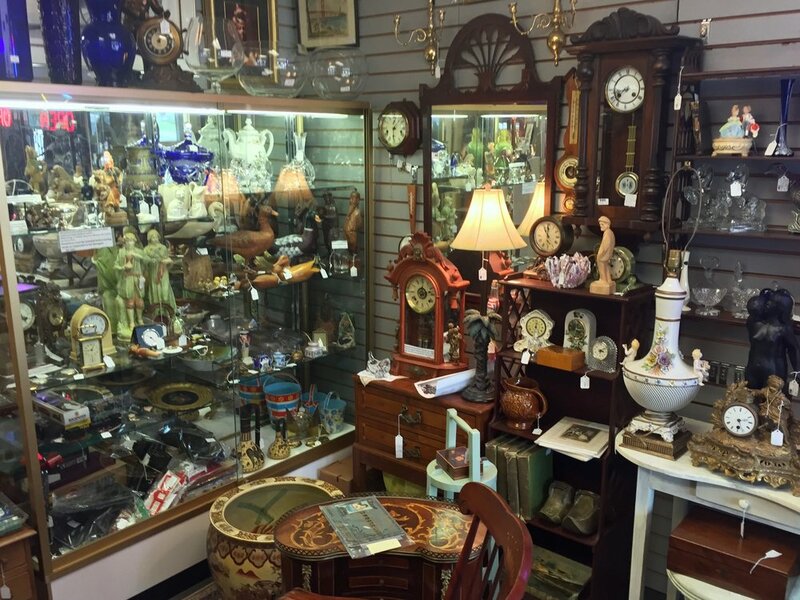 T's Treasures is located on the 1st floor of The Summit Antiques Center, and specializes in clocks, pocket watches and general antiques. China Blue Antiques has been in business since 2007, and offers general antiques and unique holiday items. Find China Blue Antiques on the 1st floor of The Summit Antiques Center. Ina offers fair dealings and courteous service, with over 35 years experience in the antiques business. Ina's Antiques features jewelry, Sterling silver, paintings, collectibles, clocks, toys, oriental rugs, furniture and bric-a-brac. She also offers appraisals and consignments, and runs house content sales. 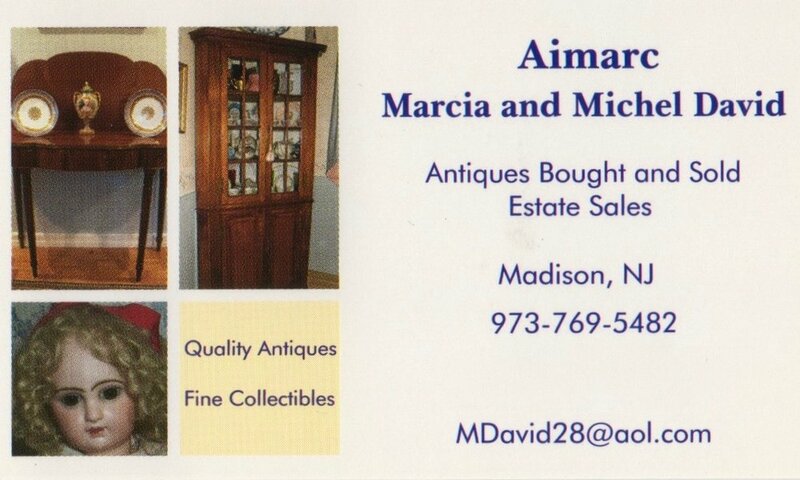 Call Ina at (908) 578-4118 and visit inasantiques. Kathy has been in the antiques business for more than 30 years. She carries a general line of antique and vintage items; her favorites include Holiday items and costume jewelry. Her shops are located on the 1st floor in two different areas. Kathy is also a partner in an estate sale and appraisal business. For more information about those services check out hilltopestateandappraisals. My Mother's Things offers unique and nostalgic items guaranteed to bring a smile and a memory. Visit Nancy on the 2nd floor for a wide array of decorative items and gift ideas. Rascal Salvage Vintage offers up a unique collection of RAD treasures hunted on adventures throughout the tri-state area. Specializing in all things eccentric, fun, kitschy, colorful and slightly weird! Stop by to say HELLO in person or check us out on Etsy at rascalsalvagevintage and on eBay at rascalsalvagevintage. 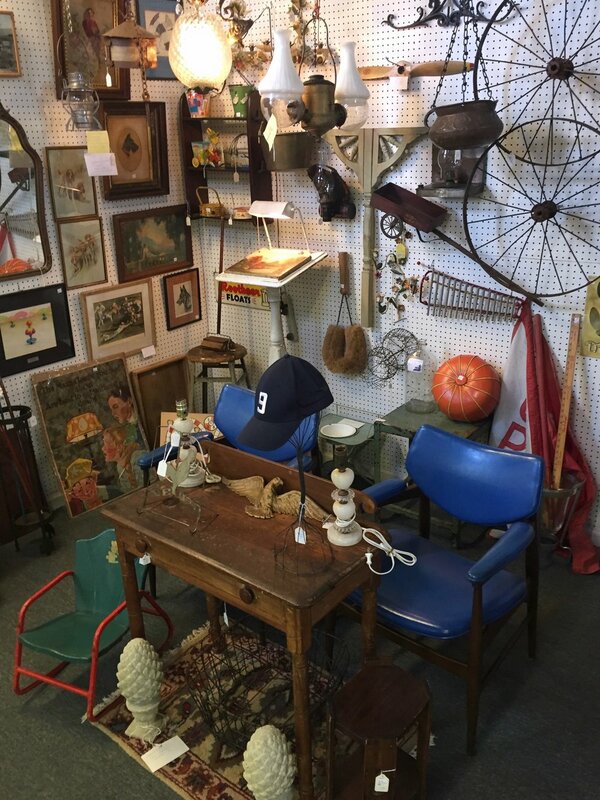 Richard has been buying and selling antiques for over four decades, and offers an eclectic assortment on the 2nd floor balcony of The Summit Antiques Center. Visit Richard's Wall at the top of the stairs for surprising and unusual finds. Thank you. Fred and Janice Aibel both started collecting when they were young kids. Together they combined their collections and started selling under the name "Sugar Princess" in 1991. Sugar Princess sells Americana, primitives, antique toys and collectibles. Uniquities specializes in antique jewelry and fashion items. Find Uniquities on the 1st floor of The Summit Antiques Center. Ayse and Bob Ryan (Ambience Antika) have been at The Summit Antiques Center since 1990, after relocating from Syracuse, NY, where they started their antiques business in 1984. 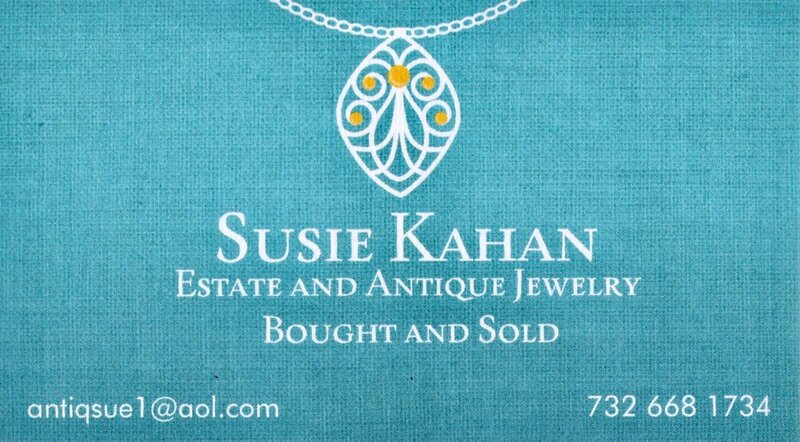 Ayse and Bob have had lifelong passions for antiques, and specialize in jewelry, silver and other fine collectibles. Ambience Antika has two locations on the 1st floor of the Center. Come visit or contact them directly at (646) 593-2091 (Ayse) or (973) 220-8963 (Bob). Al and Chrissy Slater have been in the antiques business full time since the early 1970s, and were partners at the Dover Antique Mall for twenty-three years. They joined The Summit Antiques Center in 2018, and can also be found at Canvas House Antiques in Point Pleasant Beach, NJ. Al & Chrissy specialize in quality art and sterling silver. Contact Al anytime at (201) 704-6886. Peter J. Cummings has been the manager of The Summit Antiques Center since 1991. Over the past 25 years, Peter has exhibited at many antiques shows, as well as run estate sales with his mother, Lois Cummings, also a past dealer and owner of the Summit Antiques Center. Debbie has loved antique jewelry since she was a child, accompanying her mom on jewelry treasure hunts in New York State where she grew up. For Debbie, the attratction of antique jewelry lies in the stories and history behind each piece. An avid traveler, she loves to seek out antique markets and shops wherever she goes, resulting in a wide variety of unique and interesting finds. Debbie concentrates in antique and vintage jewelry as well as other small, fabulous treasures. David Cowell became an antiques dealer in the 1970s, concentrating in 18th and 19th century furniture, lighting, Staffordshire china and figures, coin and Sterling silver, pewter and decorative accessories. Trading as Lovely Living Antiques, a division of Lovely Living Interiors, David specializes in the interpretation and restoration of period houses. Marijka has run estate sales for more than 25 years, and been at The Summit Antiques Center for nearly as long. She served as president of the Associated Antiques Dealers of NJ, and also sold at the Morristown Antiques Center and at The Barn in Scotch Plains. 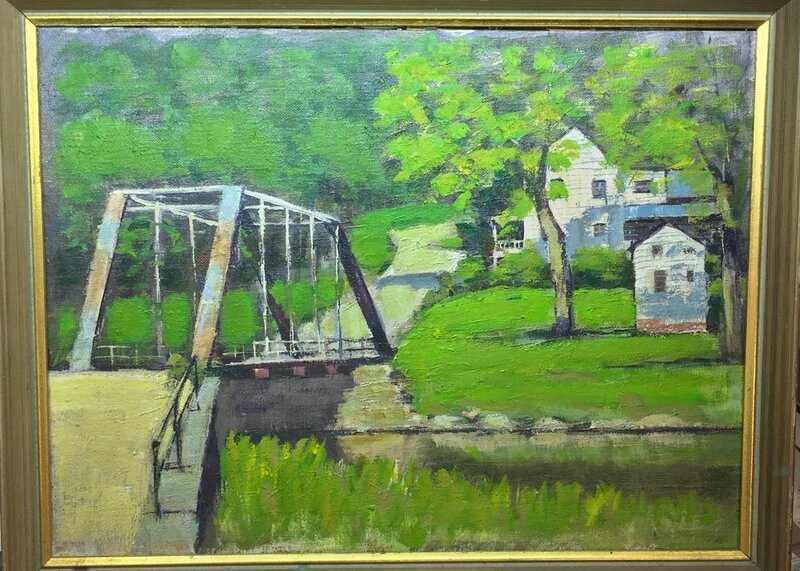 Will Fiore of the New Jersey Gallery of Fine Art has been involved with antiques and paintings his entire life. He specializes in paintings by New Jersey artists, and also offers a collection of general antiques and vintage toys. 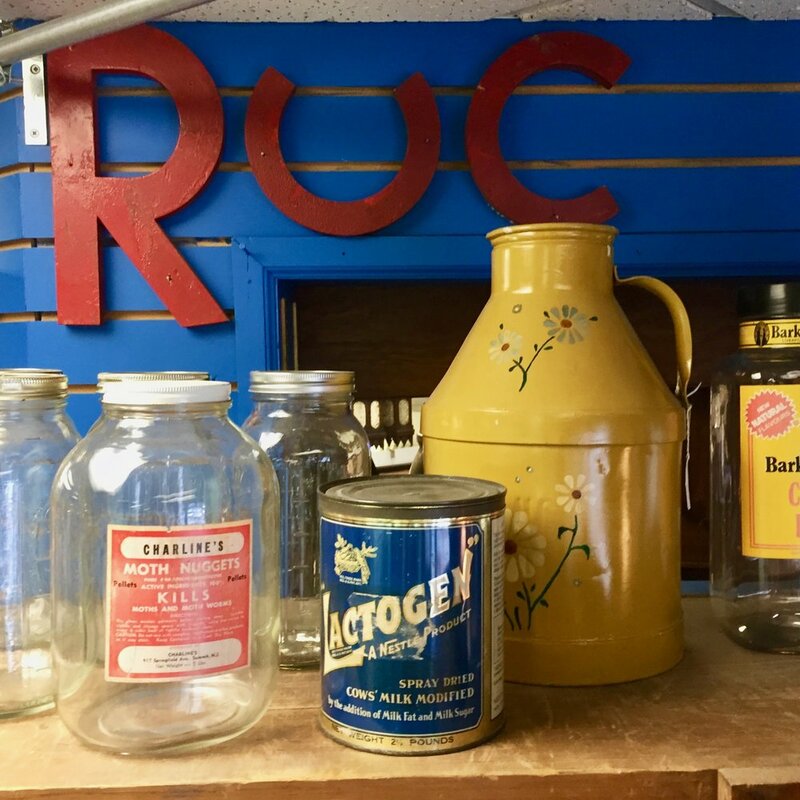 Several years back, owners Ron Misiur and David Handrich expanded their interests in vintage collectibles and antiques into shops specializing in books, china, glassware, silverplate, linens and more. Their books are first editions/first printings, collectible, vintage, author-signed or advance proofs. 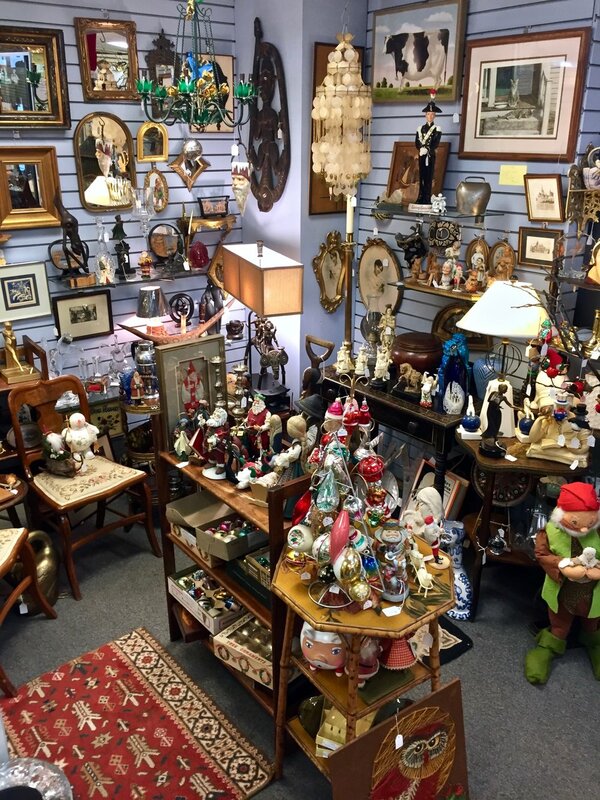 Additional Out of the Attic Antiques shops are located at the Cape May Antique Center in Cape May, NJ, and at Capt. Scrap's Attic in Ocean View, NJ. 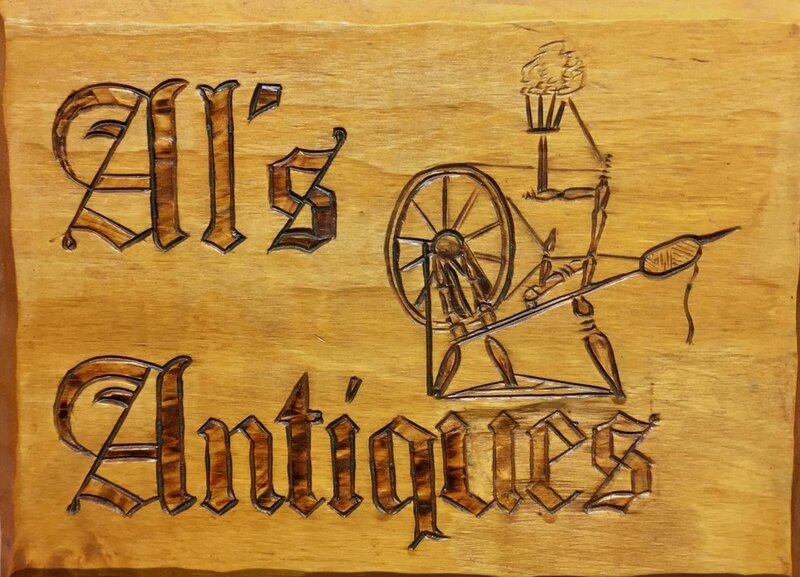 Out of the Attic Antiques also sells on Etsy at outatticantiques01. 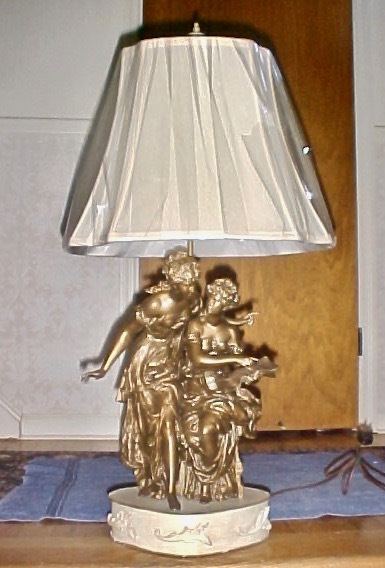 Tony and Rita Wonsala started in the antiques business more than 20 years ago, when Tony began repairing lamps for other antiques dealers, and soon included lighting shops and individual customers. Tony has worked with electrical systems (maintenance and engineering) for over 60 years. He has an inventory of over 500 lamps ranging from the early 1800s up to the 1960s, as well as over 35,000 items in stock (including wicks, chimneys, shades and thousands of metal and glass parts) available to support the repair and restoration of antique and vintage lighting. A long time collector and antiques dealer, Annette has a litt bit of everything to satisfy the visions of discrimating and eclectic buyers. 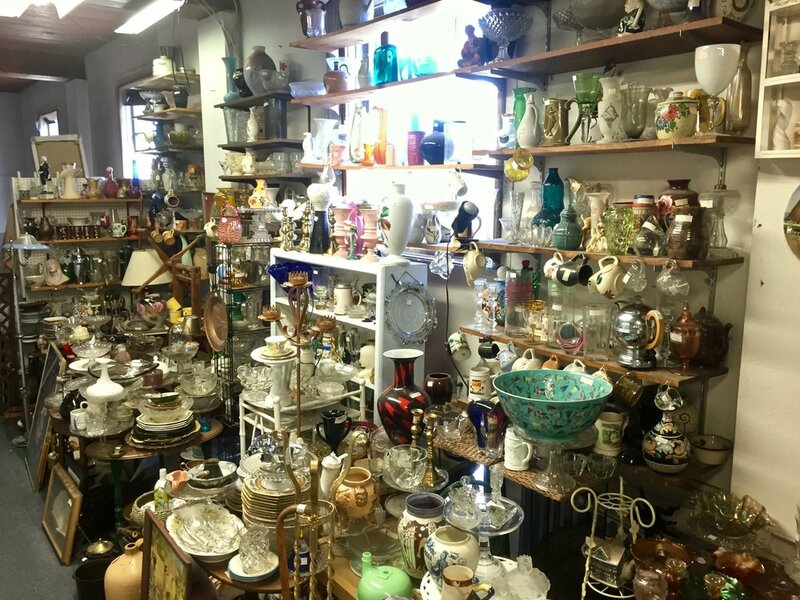 Annette's Antiques features art, glassware, pottery, period funiture and modern day collectibles. Brian is a long time collector and dealer. His business consists primarily of country furniture, crocks, jugs, bottles, tools and the like. He is also a clock collector, and sells clocks and barometers along with other antiques. Find Brian's booth on the 1st floor in the area facing Morris Avenue. DJE started in 1987 and has been at The Summit Antiques Center since May 1992. They offer assorted jewelry, china, pottery, purses and other items of interest. GB Antiques has been part of The Summit Antiques Center since 2009. Formerly, Gerrry kept a shop in South orange for 12 years. He offers a collection of decorative antiques, home furnishings, lighting and unusual objets d'art. George and June have been in the antiques business for more than 35 years, and at The Summit Antiques Center since 2003. They offer general antiques and art and can be found on the 2nd floor. Ken has been in the antiques business for 35 years, and a fixture at The Summit Antiques Center since 1995. 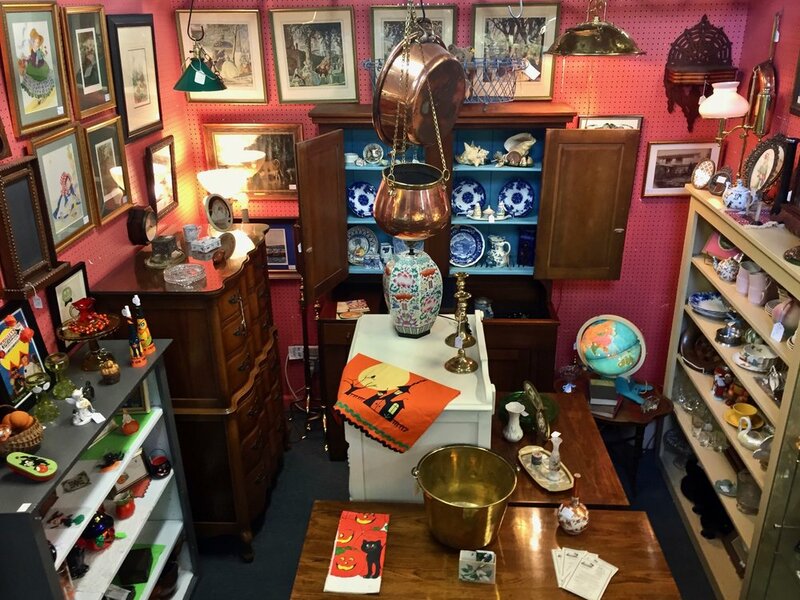 He offers a vast array of general antiques in two spaces on our 2nd floor. You can also find Ken's Antiques at the Antique Emporium in Asbury Park, NJ, and at the Shore Antique Center in Allenhurst, NJ. Visit kensantiques. For 40 years, Maryann Newman sold at antique shows throughout New York and New Jersey, specializing in linens, silver and jewelry. Many of her customer have now followed her to The Summit Antiques Center. She offers a varied selection to please everyone, and enjoy meeting a variety of people and helping them find just what they are looking for. Lou loves taking a walk in the past, so opened her shop at The Summit Antiques Center in 2016. Her parents were antiques dealers in Yardley, PA for many years, and Lou grew up with antiques. Her interests include primitives and collectible items. Come to The S.A.C. and take a walk down memory lane. Stacey Caron is a New Jersey native living in Summit since 1989, with specialties in 19th century ceramics and decorative arts. Stacey is a certified antiques and art appraiser and works with estate attorneys and insurance companies to evaluate and insure your antiques. Her other interests include cooking and food design, and as a recipe writer she has hosted her own popular food blog, "Stacey Snacks", since 2008. Visit staceysnacksonline. Tori Hill specializes in early Holiday items, antique toys and folk art. Her unique selection of whimsical items will delight the child in all of us. Paintings of animals, fruit and landscapes will highlight any décor. Ironstone pottery, English majolica and Yelloware round out her varied assortment of quality antiques. 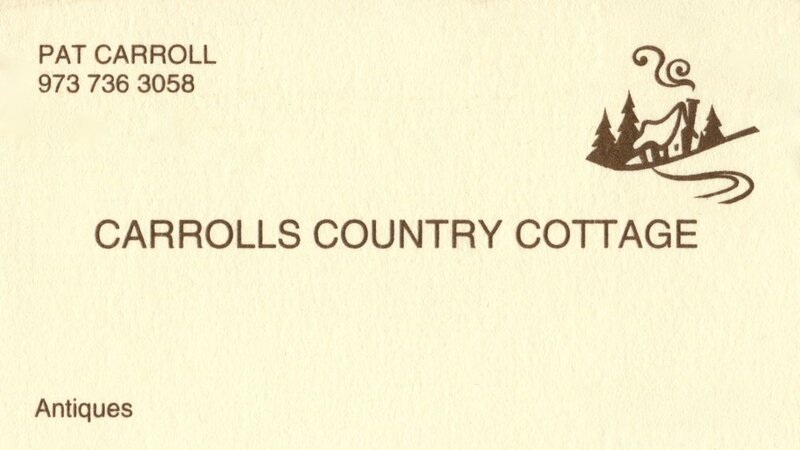 Wolf Creek Paper Antiques sells postcards, tradecards, valentines, photographs, rewards of merit, business cards, Victorian paper, diecuts, scrap and all kinds of ephemera.